Substrate and tape total and individual thicknesses, warpage, and TTV Measurement. Able to measure with or without backing tape. For wafer back-grind and etch thinning processes control. 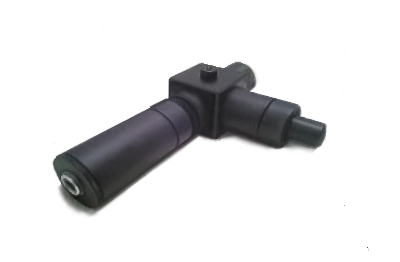 Non-contact Echoprobe or VITE Technology. Thin film and surface roughness options. Thickness and total thickness variation (TTV) mapping system. TTV and Thickness of wafer substrate, thick layers, wafers on tape, bonded wafers, etc. 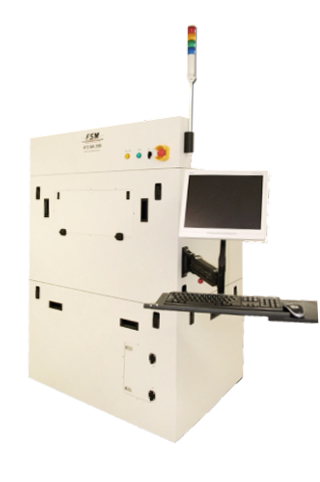 Fully automated cassette to cassette system, SECS/GEM compliant. Warp, Roughness, and Thin Film Thickness measurement options. Thickness and total thickness variation (TTV) mapping system. TTV and Thickness of wafer substrate, thick layers, wafers on tape, bonded wafers, etc. Semi-automatic system with enclosure. Manual loading, automatic measurement. Warp, Roughness, and Thin Film Thickness measurement options. Systems up to 300mm diameter wafers with or without frame. 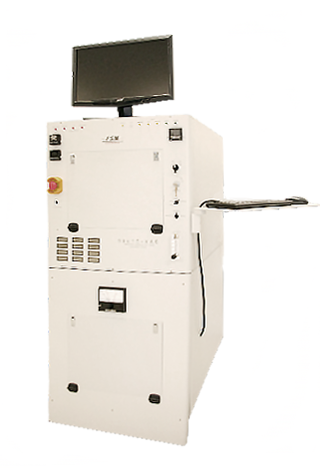 413PR is specially designed for automatic substrate thickness measurement on wafers with optically turbid (milky) tapes, as well as for applications demanding fast, reliable, automatic measurement site location. Special optics and illumiation allow rapid location of areas of interest. 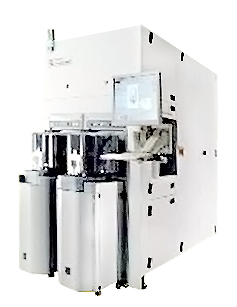 Semi-automatic system with enclosure for wafers up to 300mm with or without frame..
Thickness and total thickness variation (TTV) mapping system. TTV and Thickness of wafer substrate, thick layers, wafers on tape, bonded wafers, etc. Manual loading, auto-mapping. Warp, Roughness, and Thin Film Thickness measurement options. 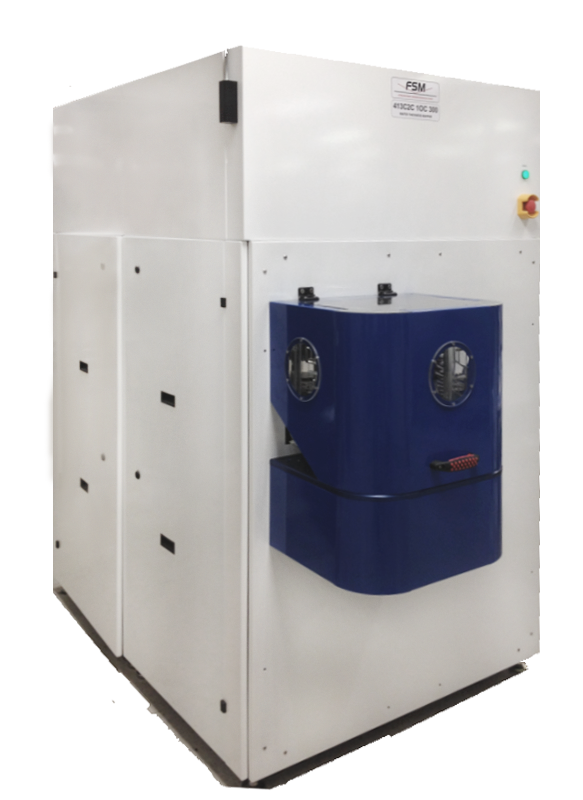 Systems up to 300mm diameter wafers with or without frame. 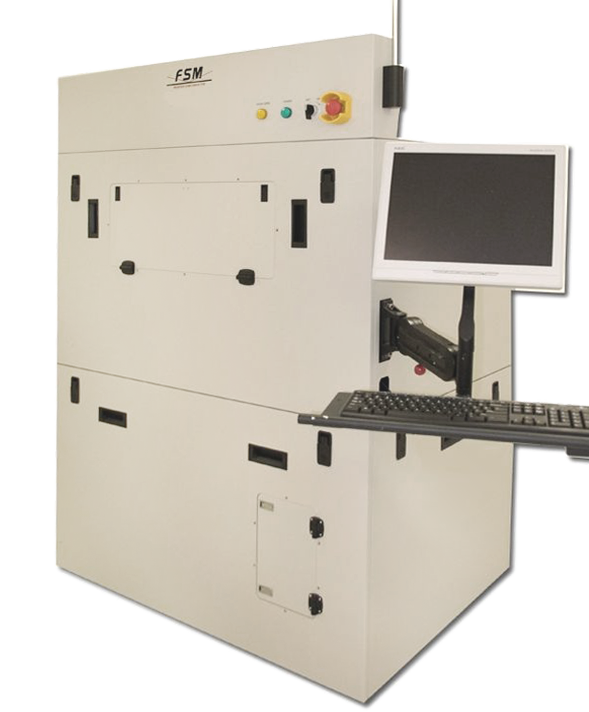 Film adhesion testing of thin films and stacks on substrates for material evaluation. 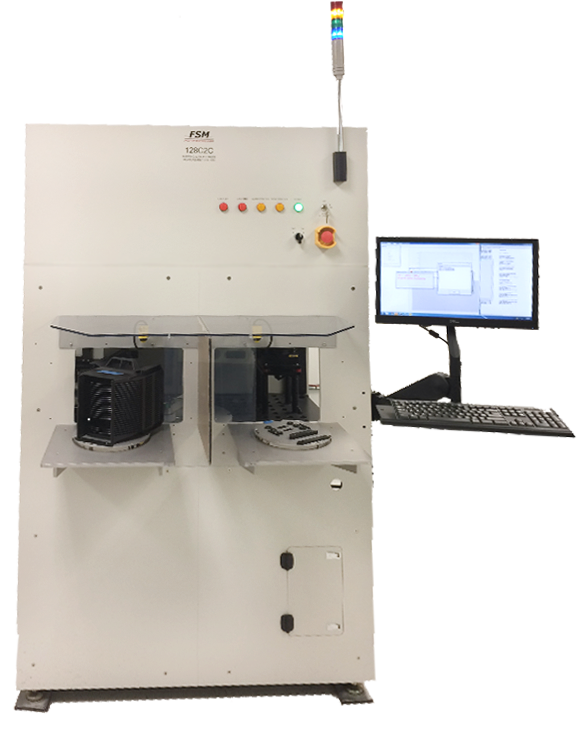 Modified Edge Liftoff Test to measure adhesion of thin film and thin film stacks on a wide variety of crystalline and non-crystaline substrates, such as Silicon, III-V compounds, glass, etc. Suitable for mid adhesion samples. 4-Point Bend film adhesion test. Measurement in air or liquid. For low to mid adhesion samples. 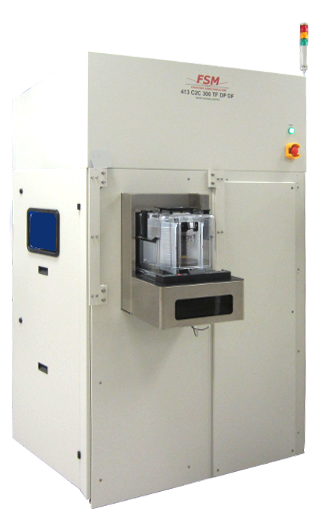 Multi-chamber option for rapid testing. Contact and Non-Contact sheet resistance measurement systems for implantation, diffusion, metallization, and many other applications. 4-Point Probe Technique for measuring the sheet resistance of epi, metal films, substrates. 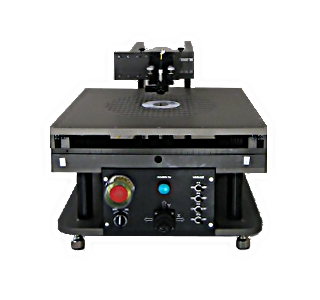 Table top and fully automated cassette to cassette systems available. Non-contact sheet resistance and leakage measurement of ultra shallow junctions (UJS). 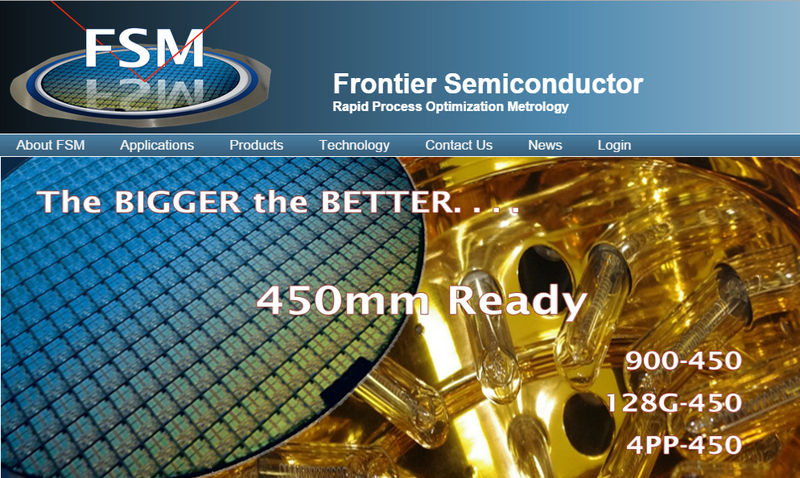 Measurement on production wafers. Semi-automated and fully automated cassette to cassette systems available. 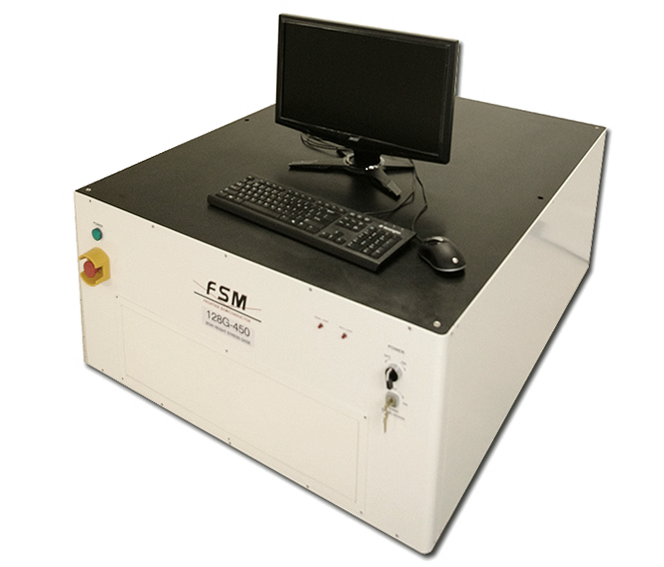 Micro Raman system for lattice level strain and material composition measurement. High spectral resolution (0.02 cm-1) and sub micron lateral resolution. Measurement of through silicon via (TSV) keep out zone, local stress and composition profiling. Fully automated C2C system. In-Situ Roughness Monitoring of very rough surfaces such as those of diffusers for LED and Laser light sources, as well as silicon and compound semiconductor solar cells. 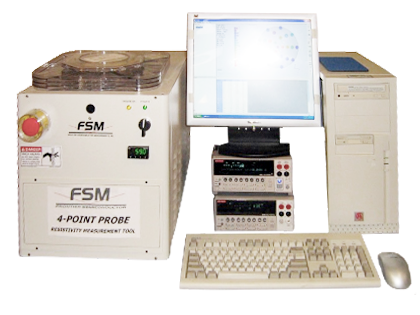 The FSM RMS In-Situ Roughness Monitoring System is a compact, robust, and easy to use system to measure the roughness of very rough surfaces such as those of diffusers for LED and Laser light sources, as well as silicon and compound semiconductor solar cells. 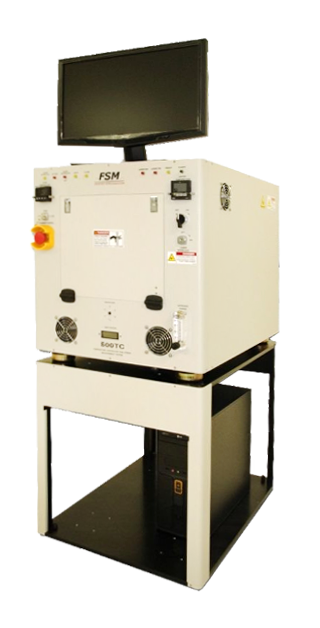 FSM’s proprietary non-contact grazing angle scattering technology makes the system immune to stray light and vibration and easy to integrate. Virtual Interface Technology for 3D-IC Metrology: TSV profile (depth, top & bottom CD) , Remaining Silicon Thickness (RST), Copper Nail Height, Bump Height and Cu pillar Height, Edge trim profile. 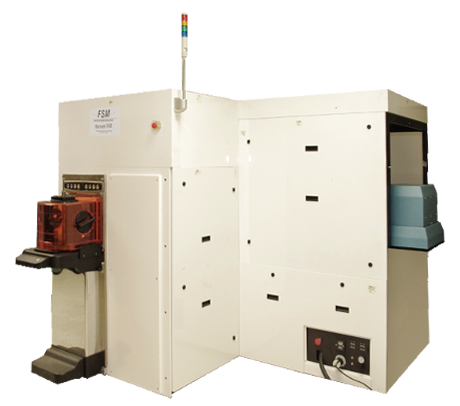 Dimensional metrology system for 3D-IC application: Through Silicon Via (TSV) depth, top CD, bottom CD, remaining silicon thickness (RST), copper pillar height, bump height, and many more. 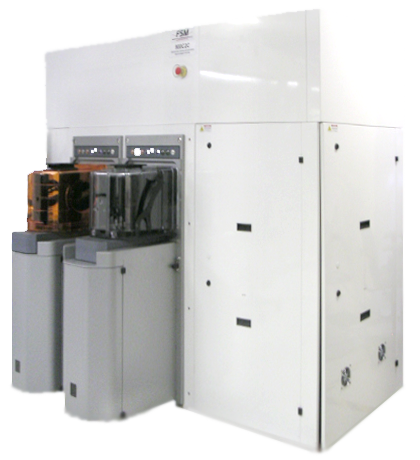 Fully automated cassette to cassette system for 300mm wafers. SECS/GEM option. Warp, Roughness, and Thin Film Thickness measurement options. 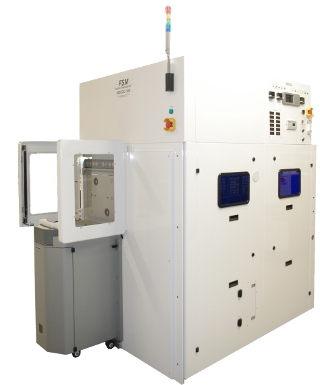 New high speed, high accuracy non-contact characterization of thin wafers, through silicon vias (TSV), bumps, MEMS structures and novel materials. FSM 8108 VITE can be employed in the front-end and backend. 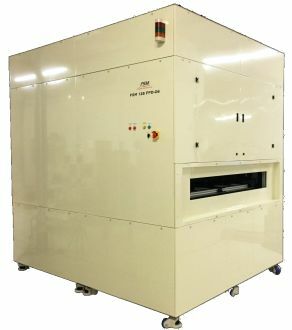 It provides thickness, TTV, and topography of Si and compound materials, edge trim geometry, multilayer thickness and topography of wafers on tape, on sapphie,or on glass. Measurement of warp of highly warped wafers and measurement of thick films.